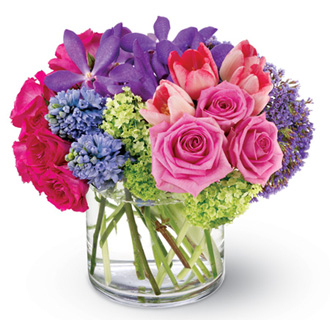 Oasis Flower Design comes in a clear vase. Flower delivery Los Angeles and surrounding cities by Royal Florist LA. Our florists use the best flowers in LA.